Are you really reaching your audience? 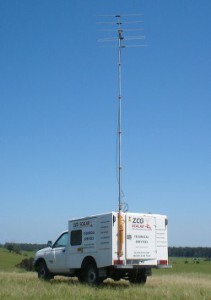 Have ZCG conduct a Field Strength Survey at your broadcast site and find out. Our detailed report will include both predicted and actual results of antenna signal strength and penetration into the surrounding area. Find out what black spots exist. Field strength surveys are available to FM Radio, Digital Radio and Digital TV broadcasters. For more information or to discuss any special requirements, feel free to contact the Technical Services Division.